The Clipper 2017-18 Round the World Yacht Race promises a shore side spectacle when the fleet crosses the start line in front of the large crowds that are expected to line the River Mersey at 1230 (BST) today. All twelve Clipper70 yachts will be battling to get the best position and any early advantage along the narrow course, and we’re expecting some thrilling and closely fought sailing as the yachts start to clock up the first of 6,400 nautical miles that make up Leg 1, the Atlantic Trade Winds Leg. It’s the longest ever leg of the Clipper Race in its eleven editions. Once clear of the River Mersey, the first challenge for the Clipper Race teams during Leg 1 will be to negotiate numerous fast moving tides which flow around the UK and Northern France. The Bay of Biscay, notorious for violent storms and heavy seas, could prove challenging and teams will be eager to cross it quickly. From there, it’s into the North Atlantic Ocean and a long journey south. The adrenaline-filled start over and with crew settled into their watch systems, the first major tactical decision of the leg will quickly arise: whether to sail to the east, west, or straight through the Canary Islands. Pick the wrong route and teams will get stuck in the lee of the land, watching the rest of the Clipper Race teams accelerate towards the Cape Verde Islands. The notoriously light winds of the Doldrums will then be waiting to test teams mentally and physically, with unpredictable conditions, big wind holes, squalls and high temperatures. Teams will decide how best to take advantage of the Doldrums Corridor race rule, a tactical mechanism allowing teams to motor-sail through six degrees of latitude (or 360 miles), so long as they are within the set gate and time limit. The first equator crossing of the race will call upon King Neptune to pay the boats a visit and a ceremony will turn Pollywog crew into Shellbacks – a real experience! Teams will then continue south to pick up easterly trade winds, being careful not to get too close to the South American coast, before heading all the way to Punta del Este, Uruguay. As the fleet approaches Punta del Este, Uruguay, teams can expect a truly warm welcome from friendly locals in this debut Host Port, who are eagerly waiting to welcome the crew after spending an estimated 35 days at sea. A new race feature for this edition is the Joker Card, a tactical addition which each team is able to play for one of the 13 races. It doubles all race points won in that particular stage, not including bonus points. The GREAT Britain team has decided to play its Joker Card in this opening race, making the team a potential contender to climb ahead early in the leaderboard. Which team will prove successful in this opening challenge? How tight will be racing get? How impactful will GREAT Britain’s early Joker Card decision be? What weather conditions await the teams through the Atlantic Ocean. Find out when the action finally gets underway! The Clipper 2017-18 Round the World Yacht Race starts at 1230, with live coverage from 0800 and TV programme from 1200-1300 (BST). Track the fleet’s progress hourly, 24/7, on the highly addictive Clipper Race Viewer. Think you have what it takes to complete Leg 1, the Atlantic Trade Winds Leg? 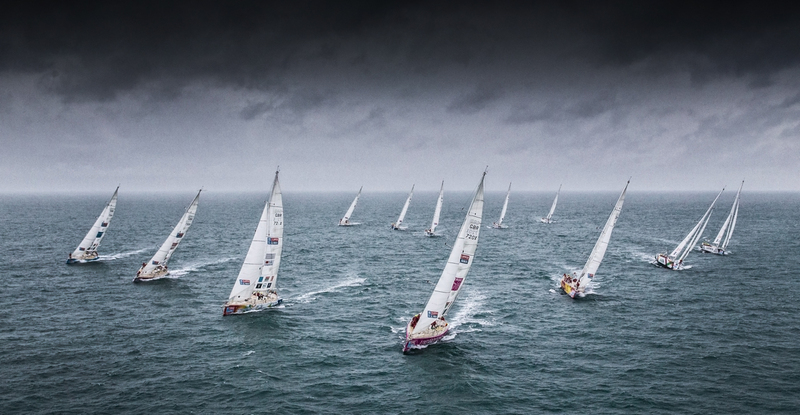 Applications are open for the 2019-20 edition of the Clipper Race.